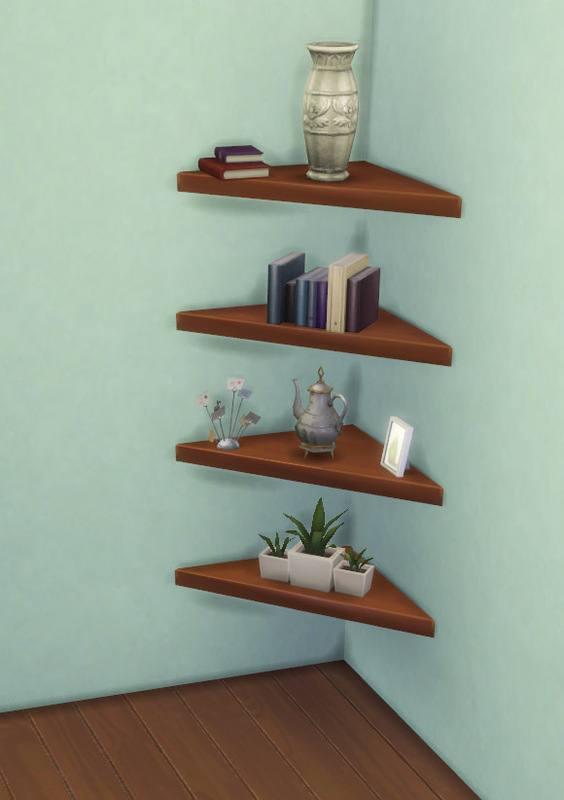 This is a simple, triangle shaped wall shelf specifically designed for corners (but you can place it on any part of a wall if you wish). 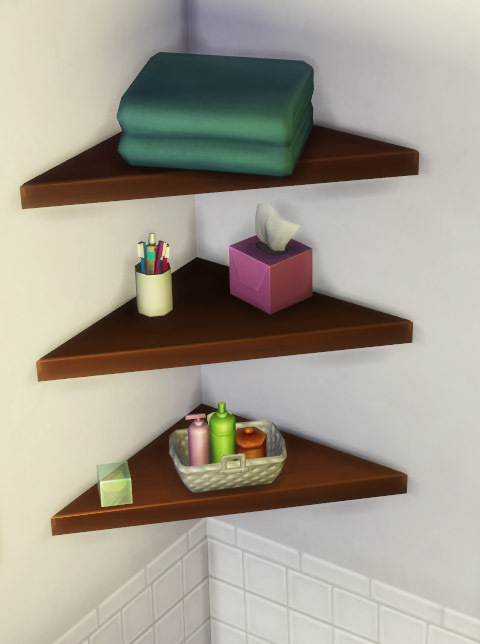 The shelf stays visible even when the walls are down. There are seven color options that are borrowed from the Mega End Table. The textures are not included in the package, but referenced from the end table. 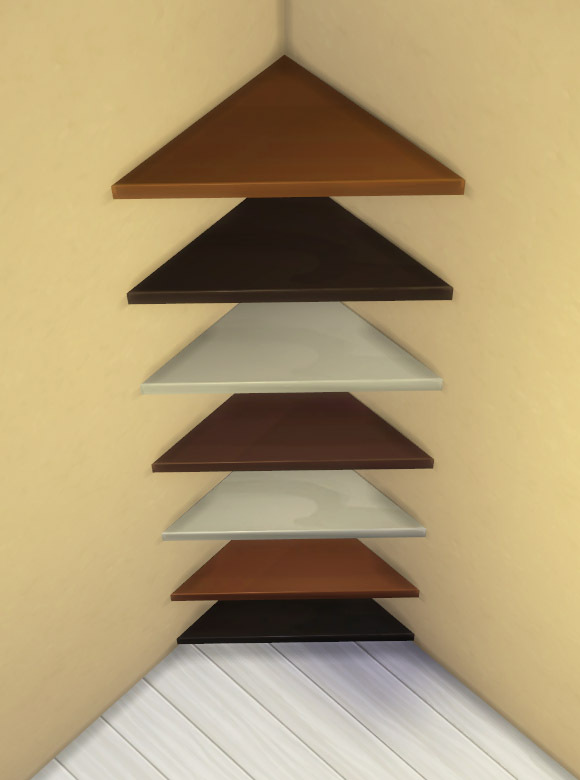 There are slots for six small and one medium sized decorative items, but not all of the spots can be used at the same time. How many items you can fit on it depends on their size. 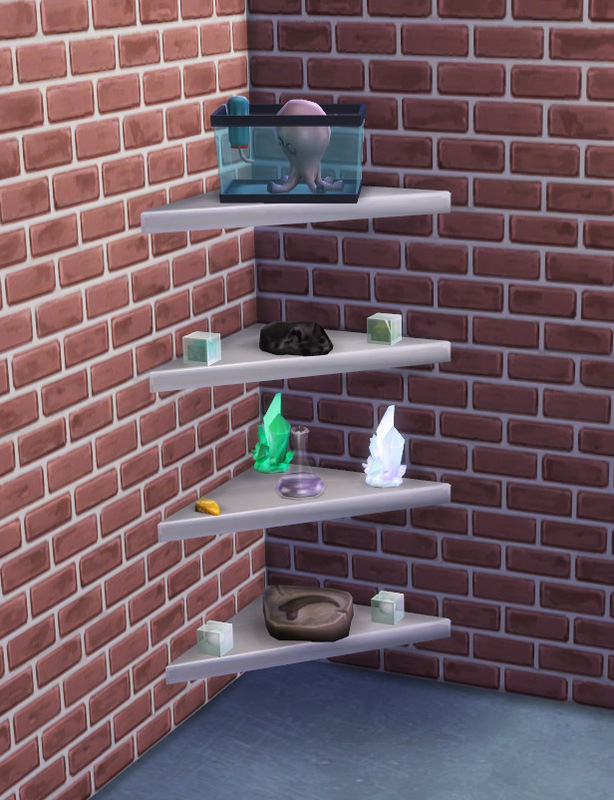 You can find the shelf in the Surfaces part of the catalog, under Displays, for the cost of 45 simoleons. 1126 people have said thanks to IgnorantBliss for this download.